An Upper Valley charitable fund established to serve veterans ended up serving the organizations directors and their families. An investigation into Project VetCare Inc. (PVC) in Hanover, began in March of 2016 after the Charitable Trusts Unit of the NH Attorney’s Office received information on oil deliveries and repairs to the home of Project VetCare Inc. directors Danielle Goodwin and Gavin Goodwin. The Goodwins owned a home at 4 Kingsford Road in Hanover. 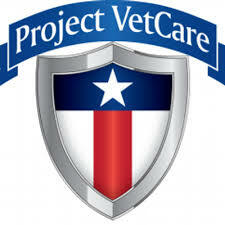 Copies of invoices showed that over $27,000 worth of heating system repairs, installations and oil were paid for by Project Vet Care, from Oct.2014-Feb. 2016. The investigation discovered large sums of money used for the benefit of the charity’s executive director, her family, an employee and some members of the board of directors. Funds were diverted for tickets for a Florida vacation on Royal Caribbean Cruise Lines, personal household expenses, a new heating system and oil and propane deliveries and improper loans to directors and an employee. The report details the extensive financial conflicts of interest that benefited a majority of the board of directors. Directors Andrew Steele, Mark Parton, and John Donovan resigned in May of 2016. Directors Robert L. Chambers, chair, Danielle Goodwin, executive director, Gavin Goodwin, and Dana Pirovane, were removed and the organization is being liquidated in receivership. The receiver has entered into agreements with individuals responsible to have some of the funds restored. However, due to the charity’s deficient financial record keeping, the full extent of the possible misuse of funds cannot be determined. Following liquidation, other charitable organizations serving veteran will receive any remaining funds. Mindy Bergman – $10,000. Paid in full. Dana Pirovane – $1,054. Paid in full. Gavin Goodwin – $30,000. $16,699.32 paid to date; balance payable monthly. Robert Chambers – $11,500. Paid in full. Danielle Goodwin – $90,000. Payable on sale of 4 Kingsford Road. House under contract.